A house party should be the ultimate gathering for your friends and family. There’s no need for a better reason why you want to host a party. Every simple reason is good enough to spend time with friends and family or to cater to their need to try a new dish you’ve been slaving over, for example. It’s nice to be able to throw a house party once in a while. Though there is much work that needs to be done before and after the actual event, the joy and elation one feels during the party is enough reason why you should at least try hosting one. There can be no great house party without some great food. This is the center of attention in your house party. Early on, you should decide whether you’re going to whip up your own dishes or order from a favorite restaurant. You may also decide to ask your guests to bring their specialties, so you can all try something new during the party. Make sure you have enough food and drinks for everyone, so no one has to go out in the middle of the night to pick up some chips. There is a pretty good chance your party is going to get loud, right? Instead of waiting for your neighbors to come knocking on your door or for the police to ask you to turn it down a notch, you can invite your neighbors and make them feel like you want them to be there. Whether that is true or not, what matters is that they know you have at least extended an invitation to them. They will be more tolerant of the noise you’re about to create. You don’t know how a party may end up. When you’re in the middle of the party already and there is not much activity there, you can choose to take out some board games that everyone may enjoy. You’ll never know when you’ll run out of glasses, so better stock up on them just in case your party attracted more people than you invited or got ready for. The New Star 12 pcs 12 OZ Clear Color Restaurant Tumbler Beverage Cup is a good choice since these are stackable and break resistant. Just in case the party gets rowdy, you won’t have to worry about the glasses breaking. If you have time conscious friends, tell them the party will start at 10 PM if that’s the time you think you’ll be ready. 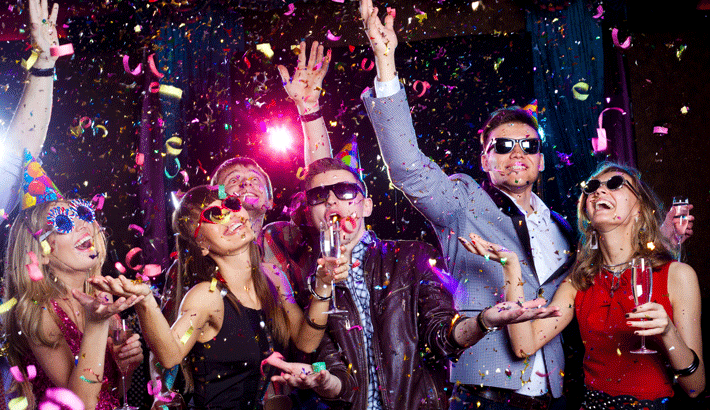 If some of your friends are repeatedly tardy, just tell them the party will start at 8 PM, so by the time they arrive, your party is just starting. You don’t want everyone coming in and out of your rooms, right? You certainly don’t want to see people just sleeping on your bed after they’ve drunk too much wine or beer. Lock your doors, so that no one can enter the rooms. Keep your guests in your living room and your kitchen.